This proposed smartphone takeover encourages the user to #BeachThisMoment. 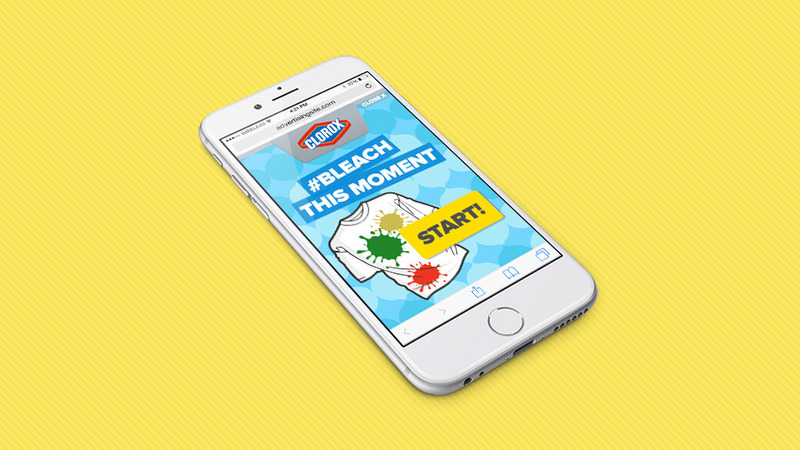 This smartphone ad was a proposed unit for Clorox and their Bleachable Moments campaign. 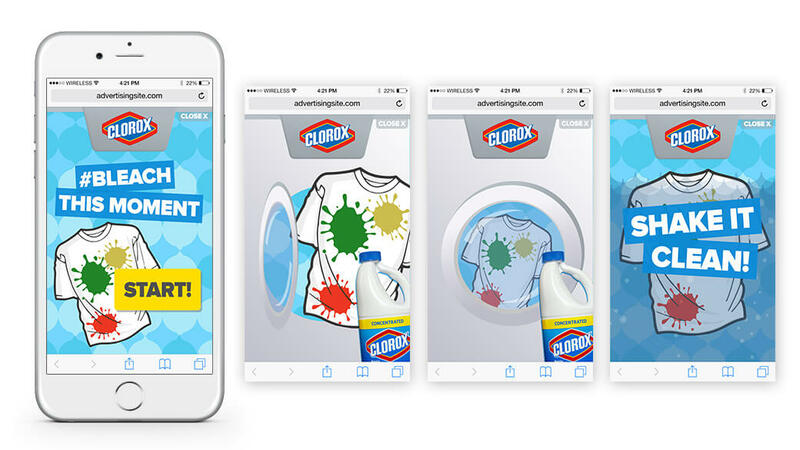 After getting inspired by another ad, the client wanted some type of user interaction to encourage the message of cleaning and Clorox. 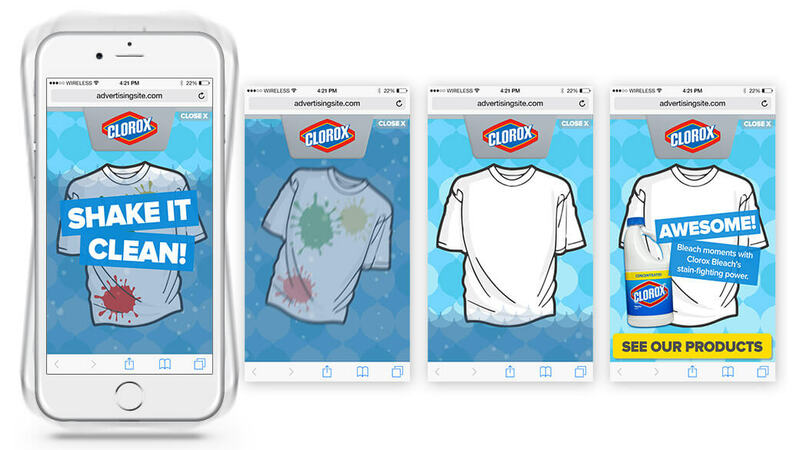 After researching Clorox’s digital presence, I designed an ad reflecting an existing game that launders shirts using Clorox bleach. The ad prompts the user to “shake“ their phone, mimicking a laundry machine’s wash cycle. 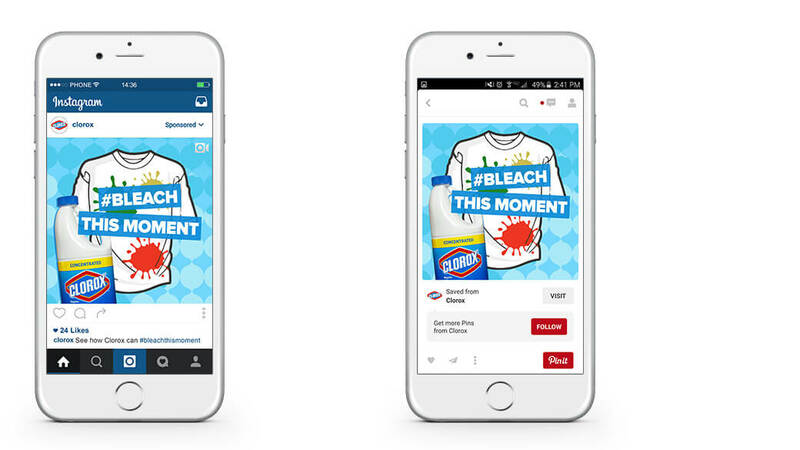 After a shake event was detected, the washing animation would then run until the end of the ad. A backup option would also be available, listening for a tap event to run the animation (the creative would also have related “tap” messaging). The proposed animation could also be utilized in social media as an Instagram sponsored ad or as a Cinematic Pin.